Today I was presenting my first presentation of the tour. It was on the 26th New Brunswick Battalion at Passchendaele. I was looking forward to actually setting foot on this battlefield. I had been researching the last couple weeks on the battle and have seen the movie, so I could not wait to actually be there. When we arrived at the memorial, I had to stand there for a moment and take it in that I was actually standing on Passchendaele. 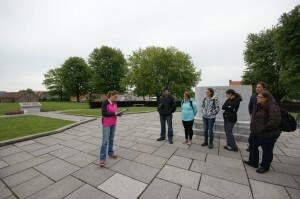 The feeling was overwhelming knowing that over 16,000 Canadians were killed, wounded, or missing on that field. I was standing on hallow ground. The land looked so peaceful and green; a stark contrast to the hellish mud that it has always been described as. It was hard to believe that so many men had died for this piece of land. The ridge hardly looked like a ridge or at least not what I had pictured. The geography of the land definitely provided a better understanding of what the battle consisted of. The actual memorial for Passchendaele was located on Crest Farm. While it was not as grand as the Vimy Ridge memorial or as tall as the Brooding Soldier, it was powerful through its simplicity. As a New Brunswicker, it was humbling being there as the 26th Battalion started their campaign of this battle at Crest Farm. The three companies of the battalion were able to quickly take their objectives the morning of Nov. 6/1917 and held them until reinforcements relieved them. Most of the history books do not mention the effort of the New Brunswick Battalion. It was not until I went through the war diaries and official history that I was able to piece together what these men did at Passchendaele. 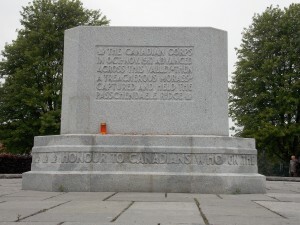 I felt proud to be able to share my province’s contribution to this battle when it is often forgotten about. While I felt overwhelmed by standing on the Passchendaele battlefield, I can hardly describe the emotions I felt when visiting Tyne Cot Cemetery. It was here that I truly understood the power of words. 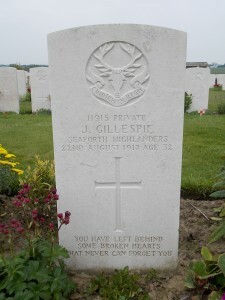 As I walked the rows of graves, I came across one grave and stopped to read the epitaph. In an instant, I was sent back to my brother’s three tours to Afghanistan and all of the fears, worries, and wondering if he was okay. 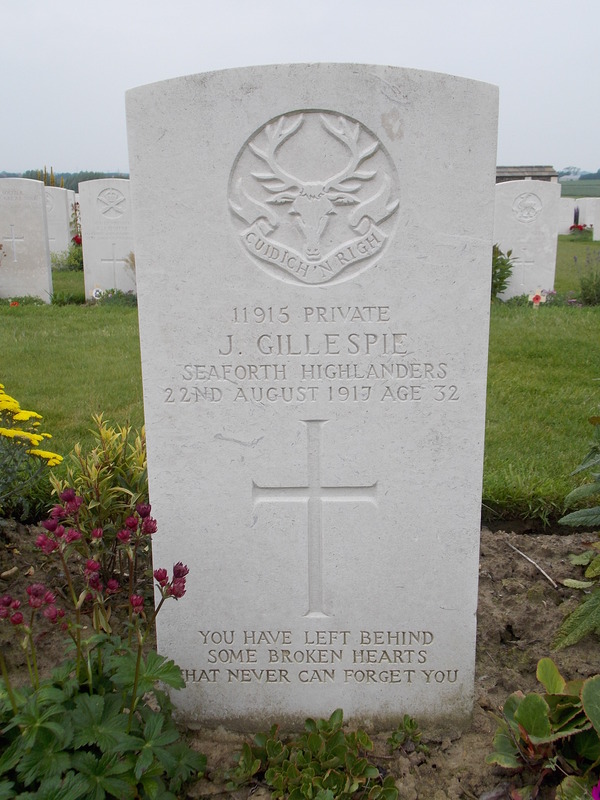 The epitaph read “you have left behind some broken hearts that never can forget you.” Mine and my family’s worst fear was losing my bother to the war and here this family has lost a son/brother to that war. I was not prepared for the instant reaction I had to reading the epitaph. I had always known that words were powerful but today was the first time I truly experienced it. The messages the families left, leave a powerful feeling with anyone who reads them. Their sons/brothers/husbands/fathers gave the ultimate sacrifice and their families used many powerful statements to remember them by. These epitaphs give us a small glimpse into the thoughts and feelings of the families of the fallen. The instant emotional reaction I had showed me just how important it was for me to be there, to remember, and for me to bring back home this experience and share it with others.